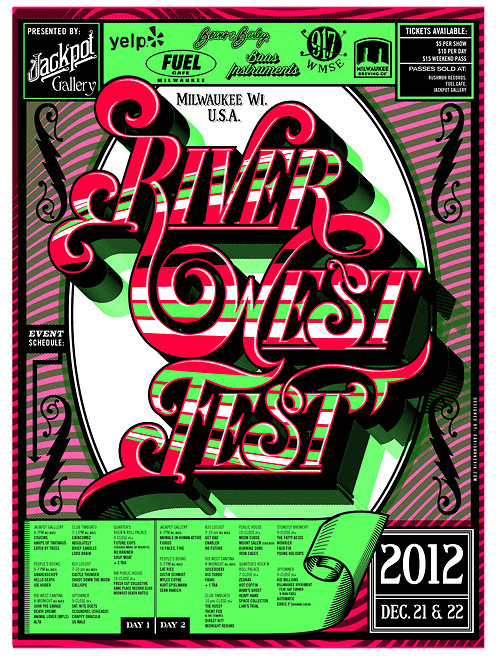 Last weekend we sponsored Riverwest Fest, a two-day multi-venue DIY music festival in Milwaukee. The annual festival showcases local and regional music and celebrates our neighborhood and its local businesses. Some friends came up from Chicago (Scoundrel, Harps of Tartarus), some from Minneapolis (Animal Lover), and Brian Rogers even flew in from California. Check out these bands if you have a minute. Anyway, it was an awesome weekend. The after party is tonight at Quarter’s on Center Street. The Jam of the Day Crew, which includes Dave Arnevik, is spinning records. Dave is the man. 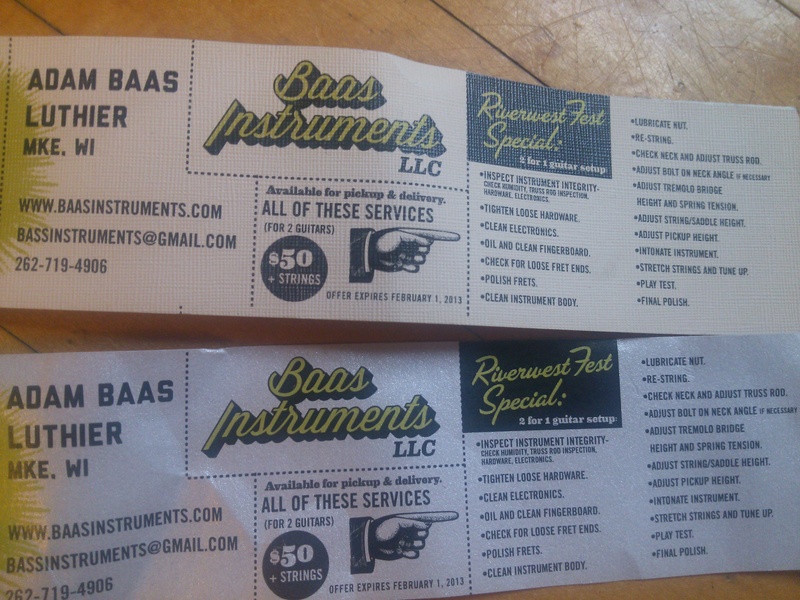 He not only plays great records, but he also designs the Riverwest Fest posters and Baas Instruments promo materials. That said, through February 1st, we are running a 2-for-1 guitar set-up special. $50 plus strings for 2 guitar set-ups. Get at us. Happy Holidays!